Marketing is undeniably a crucial aspect of running a successful enterprise. As such, business owners are usually in a dilemma whether to create an in-house marketing team or to hire a marketing agency to get the job done. Although dealing with in-house marketers is not a bad idea, it is not the best either since it calls for the hiring of more workers and additional resources including space and machinery. If meeting such requirements sounds like a stretch to the limited resources that your enterprise has, then it time you consider outsourcing the services of a full-service marketing agency. For in-house marketing, bear in mind that your marketing approaches will be mostly confined to the ideas that the staff generates. With that, you may experience a stagnation in your marketing efforts. On the other hand, a full-service marketing team has a lot to offer since they are not bound by the ideologies or traditions of your business. In fact, having dealt with other numerous companies including your competitors gives them a load of fresh, exciting ideas to breathe new life to your marketing endeavors. An outsourced team of marketers will possibly look at your business from a distinct perspective compared to an in-house team. This difference in approach creates a unique opportunity for the full-service marketers to deliver ideas that can effectively transform your marketing strategies for the better. What ’s more, it’s the job of such marketers to stay abreast of the emerging marketing trends today. Hence, they can easily implement tactics that are not only in sync with your business but with the target audience. Most in-house marketing departments are usually deprived of the necessary technology resources. Also, with the existence of a wide array of marketing technologies, companies may find it difficult to choose the right one. Worst case scenario, the budget to get the appropriate technology to take your marketing efforts to an entirely-higher level could be highly limited. These impediments may call for the need to deal with experts in the marketing field such as a full-service marketing agency. A marketing agency is built to provide you with premium access to analytical data reports, marketing software tools, and services at an affordable cost. The good thing is that you do not require to train your staff how to use the new tools or technology since the outsourced team knows how to implement and monitor them as well as interpret the data generated. When dealing with an in-house team of marketers, you may have to oversee their work. Also, there is the worry of inconsistent messages by the individual members, which may give the target audience mixed signals. Alternatively, hiring one full-service marketing company wards of the consistency concerns, as all the experts work collectively to ensure that the client passes out the same message across all your marketing channels. Marketing agencies come up with comprehensive marketing approaches that entail the sending out of consistent messages. In so doing, expect the experts to develop adverts that leverage a similar tagline, logo, colors and other features in a bid to make sure that your brand and commodities are instantly identifiable to your target audience. This effort prevents misleading messages from confusing your customers or causing them to buy from your competitors. The beauty of dealing with such a marketing agency is that it eliminates the need to use time and resources in training an in-house marketing department on what they ought to do. Expert companies in this line of work know what is required of them including generating and building subscribers and followers, bolstering website traffic, driving sales leads among other functions. A full-service marketing agency offers a pool of experts, for instance, availing an inbound team to help you deal with different marketing areas like paid ads, social media, branding, content development, SEO among many others. What ’s more, these professionals not only collaborate with each other but also share ideas in a bid to deliver results that exceed their customer’s requirements. Think of a full-service marketing agency as a team of marketing experts boasting collective expertise and experience. Keep in mind that in case you are planning to expand your current business or launch a new one, you will have to boost your marketing needs eventually. The same case applies when planning to scale down your company. Hence, with an internal marketing team, scaling upwards may require you to train or hire more marketers whereas scaling down means laying off some of the staff. With a marketing agency offering comprehensive marketing services, all you need is to notify those in charge what you want to do. Hence, scaling your marketing endeavors either up or down becomes a lot more seamless when dealing with such a service provider. Running a business goes beyond marketing operations. You have to look at other aspects including fulfilling orders, monitoring the activities of your staff, developing new commodities, and managing your inventory among others. All these functions play a role in helping your company stay afloat and make profit. Even though marketing is highly important in helping you attain business success, these other functions are also equally important. With a full-service marketing firm by your side, you can rest assured that the marketing side of your business is in safe hands. Hence, you do not have to focus on managing other employees or even trying to formulate and implement effective marketing strategies. The reason is that a marketing agency deals and manages its own team of experts as well as creating comprehensive marketing approaches on your behalf. In turn, all this work allows you to focus on other important tasks that are essential to the success of your enterprise. Getting enough room, resources including systems and the right talent for your in-house marketing department can be costly. Furthermore, overhead costs including electricity bills may make things even more difficult. Alternatively, dealing with a marketing agency does not require you to pay for such overhead costs, recruit professional marketers or pay salaries and benefits. Aside from that, outsourcing marketing services enable you to save money on purchasing marketing systems or programs by leveraging their connections with existing suppliers. Looking at the benefits explored above, it is clear that there is much to gain with a full-service marketing agency in your corner. From scalability, access to trained marketing experts, systems and services to allowing you to focus on the core objectives of your business, the benefits are limitless. Nevertheless, it is imperative that you have at least a single point person who works internally as the connection between your business and the service provider. 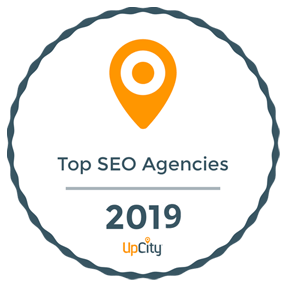 Their work, in this case, is to help the full-service marketing agency comprehend what your business wants as well as your brand demographics, content, voice and messages.